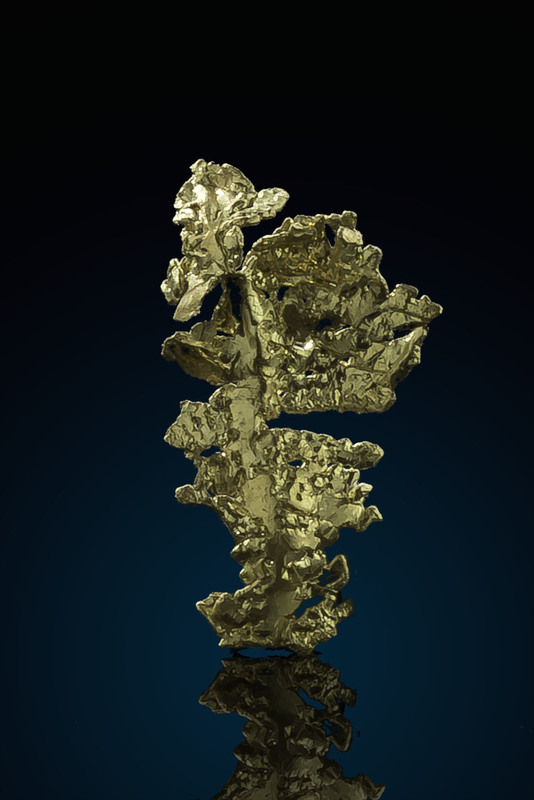 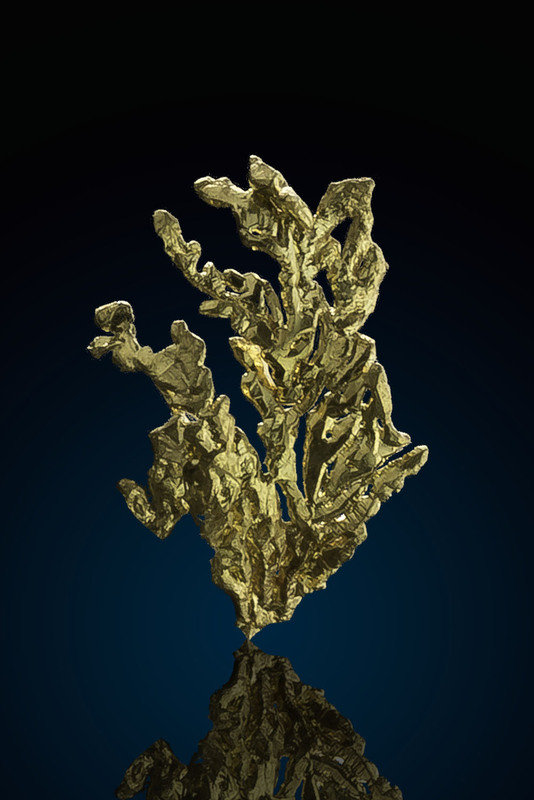 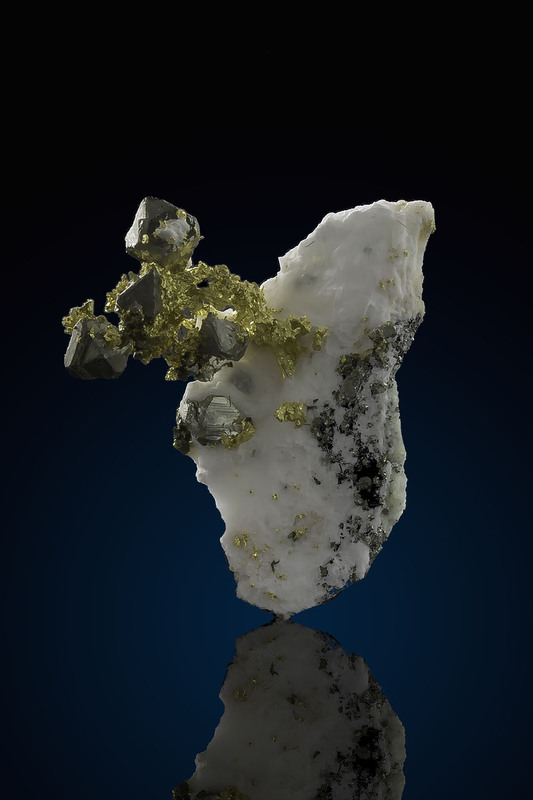 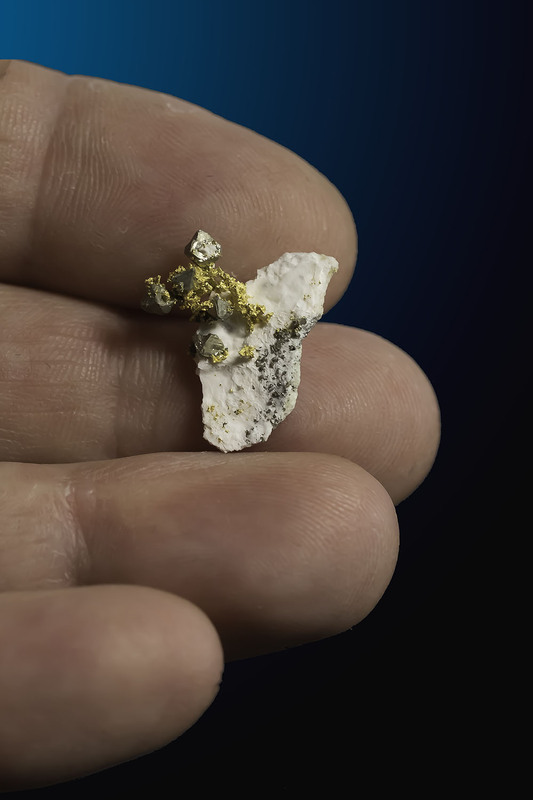 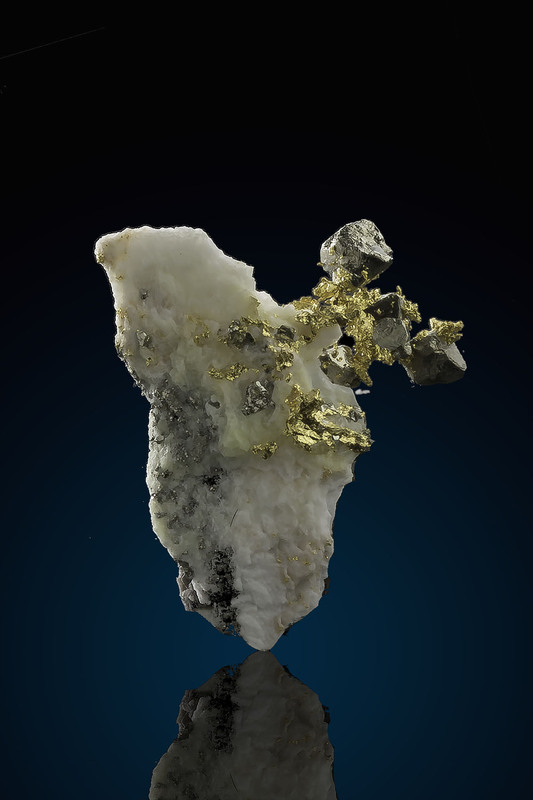 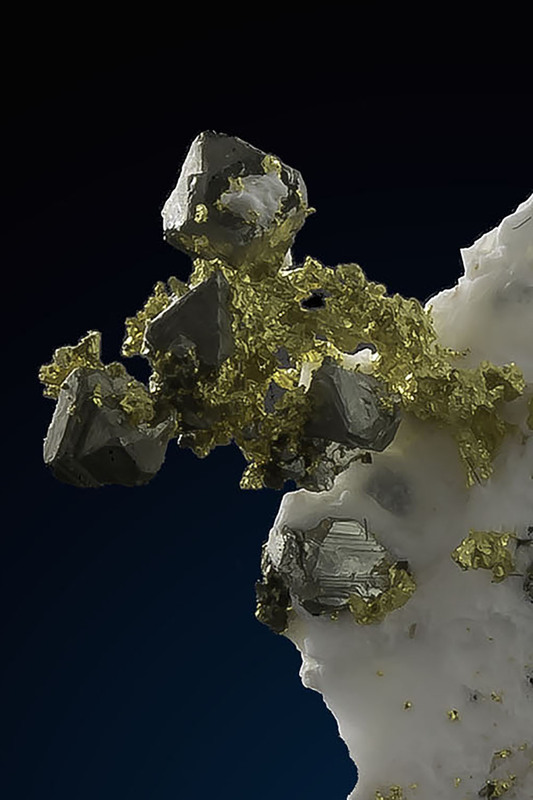 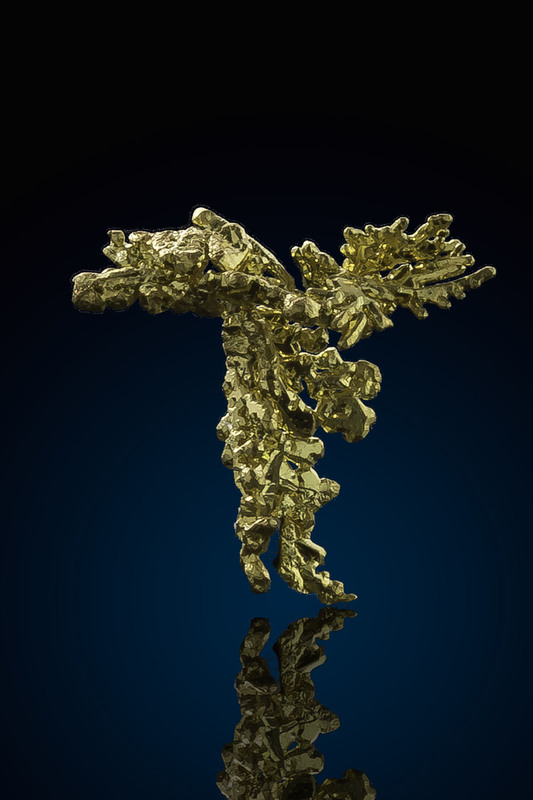 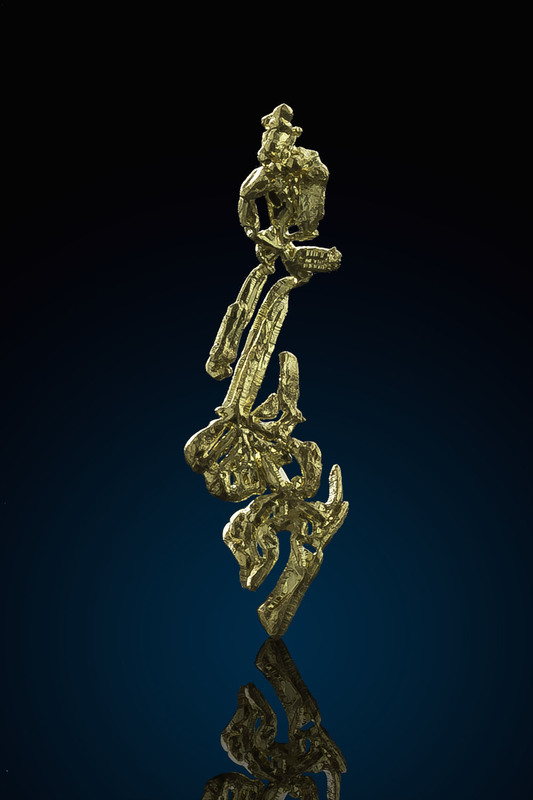 An interesting specimen that is quite rare with crystalline gold and pyrite crystals. 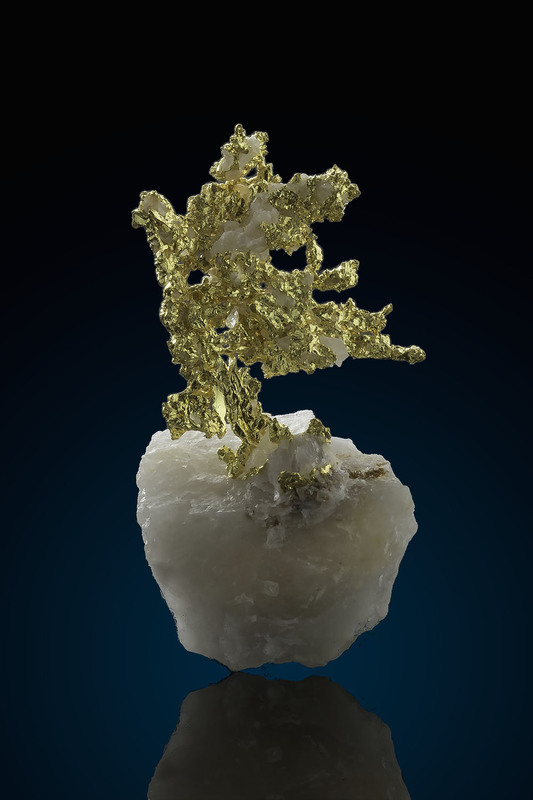 A very aesthetically interesting specimen with the white quartz and branching metals off to one side. 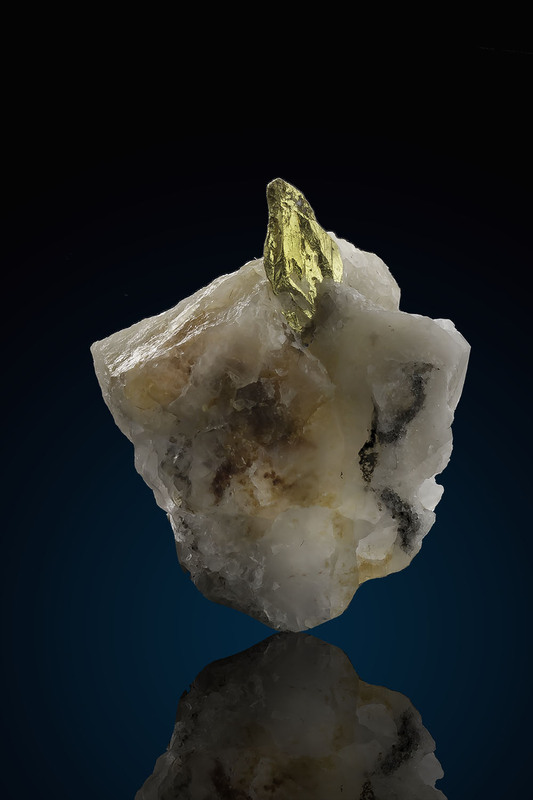 The specimen is from California and one of a handful I was able to acquire during my travels.